At a certain point in His ministry, Jesus wanted to know to what extend His own disciples had pierced the mystery of His person. In pagan territory, in a place far from Jewish influence and prejudice (Caesarea Philippi), Jesus asked His closest disciples about what "the people" thought of Him. There were many views: for some He was "John the Baptizer"; for others "Elijah" who was supposed to reappear before the Messiah; for others "Jeremiah or one of the prophets" who had come back to life. Jesus, however, was not really interested in what "the people" had to say; he was more concerned with how far His own ministry had disclosed His identity. Thus, He asks His disciples the decisive question: "And you, who do you say that I am?" When asked by the Lord, "Who do you say that I am?" Peter and the rest of the disciples were confronted with a decision - the same decision that confronts each one of us. Would they follow the opinion of the crowds, or would they be bold enough and courageous enough to express their own belief? Would they be content to know and repeat what others were saying about Jesus, or would they come to know Jesus Himself? The pointedness of Our Lord's question reminds us that a person's life, his or her whole future, depends on the clear, sincere and unequivocal answer given to the Lord's question. It is Peter who has the deepest insights into Our Lord's person: "You are the Messiah, the Son of the living God." Peter grasped the deepest reality of Jesus: His divine being. This understanding did not come from Peter's human capabilities ("flesh and blood"). Rather, Peter was given knowledge of the mystery of Jesus because he listened to the Lord, saw His miraculous deeds and trusted Jesus absolutely. In return, Jesus confers upon Peter a new name, a new function and a new authority. From now on, Peter (the "Rock") will be the firm foundation upon which Christ will build His Church. He is given the "keys of the kingdom of heaven" and the authority to bind and to loose, that is, the authority to absolve or condemn, to gather or to exclude. This power is so great that whatever he decides on earth will be ratified in heaven. These great spiritual powers are given to Peter for the good of the Church, and since the Church is to last until the end of time, these powers are passed on throughout history to those who take Peter's place as pope. The Roman pontiffs the successor of Peter; united to him, we are united to Christ. He is His Vicar here on earth, the one who takes His place. An ancient formula of St. Ambrose sums up in a few words all the teaching about the Roman Pontiff: "Where there is Peter, there is the Church, there too is God." By entrusting to Peter the keys of the kingdom of heaven, Jesus establishes him (and his successors) as the visible source and foundation of the unity of both the bishops and the whole company of the faithful. United to Peter, we are united to Jesus Christ Himself. In every age, the pope carries out the task of teaching, sanctifying and shepherding the People of God, a task Christ entrusted to Peter. 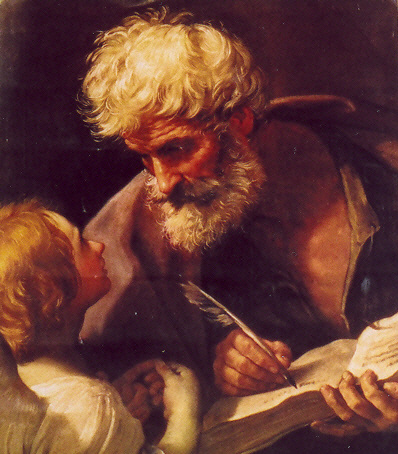 In the midst of so many opinions that today are proclaimed by false prophets and teachers, the voice of Peter provides clarity and light. In conforming our consciences to the teachings of our Holy Father, the pope, we discover the sure and certain way that leads us to God's eternal kingdom. Together with Peter and his successors, let us affirm our faith in the Lord and accept the implications of our confession in our daily lives: "You are the Messiah, the son of the living God."